I have been having laser hair removal for the face and neck areas for just under two years. On large areas of my face I don't have any five o'clock shadow any more and my face is a LOT smoother. On days out now I don't have to worry about whether my facial hair is going to show through. I am less conscious of my facial hair when I am out in public! And this makes me feel a lot more confident in my day-to-day life and day routines. Following on from my consultation which I had at the beginning of December, I would just like to say how welcoming and friendly everyone is at Refresh. I was made to feel at ease and I am looking forward to coming back in the new year to have some treatments. Also both my wife and I are interested in some of the relaxing massages you now offer so it would be nice to try this also. Am so glad to have found Refresh! This is a long overdue review. I have been meaning to write one for so long but have always hesitated because I have always been worried that I would not be able to convey how pleased I am with my experience since first visiting this clinic. If you are even only slightly curious about getting any sort of treatment at this clinic, I would recommend it without hesitation. Both Jo and Nikki are beautiful, knowledgeable and down to earth. My advice to you would be to have a meeting with your doctor and let him offer what he believes would be good treatment options for you. Let him know your budget and I am certain that you will be so pleased with the results that you will be returning in the future for further treatments! Prior to having any procedures at Refresh, I felt tired and also felt as though I was ageing faster than I wanted to. I believed I always looked good for my age, 55, but also felt as though I needed a little ‘help’, hence visiting Refresh. I had 2 procedures, Ellanse and Silhouette Soft Thread Lift, and I can honestly say its the best thing I have done. The confidence it has given me is priceless. The staff were lovely and very helpful with a very caring nature and I felt in good hands. Your doctor who performed the procedure was exceptional and I felt at ease in his presence. I would absolutely recommend “Refresh” to anyone and can’t wait to book my next appointment, whatever that may be! I feel so lucky to have found Refresh Southwest. It was purely by accident and I have since discovered that they are pretty much the only people doing what they do in the area. Until now, I have been making expensive and time consuming trips to London to a Clinic with an excellent reputation (and with exorbitant prices to match) for any treatments I needed. Now I have found somewhere SO much closer to home which has not just replaced this London outfit, but in my view dramatically surpassed what that London clinic offered in terms of service, treatments, professionalism and knowledge, at far better prices. I visited Refresh Southwest with my mind made up to have a particular treatment, but was advised on consultation to have another, less expensive one which would be more suitable for me. The results have been absolutely mind blowing in my opinion. Not only did I spend half the money I thought I would have to, but the results have gone beyond my wildest expectations. I have basically found a service now that I will use for the rest of my life, spend a fraction of the money and time I would have had to visiting a top clinic in London, and look 100 times better. The staff at Refresh Southwest are charming and make you feel very comfortable, the professional clinician has such an impressive stock of experience, knowledge, understanding of the treatments and individual needs of the client - it seems to be a really winning combination of a wealth of experience, a very good mind, and a good ear for the clients’ needs. He REALLY knows that he’s doing and knows how to get good results. I don’t usually rave about services like this, and never, ever write reviews anywhere on line. It’s just that Refresh Southwest have genuinely surprised, impressed and delivered genuine results. Jo at Refresh Southwest said I would cry when I saw the results of my treatment. I cynically thought it was a charming thing to say whilst still comfortable in the knowledge that I’m not the sentimental crying type. I cried! Part of me wants to keep Refresh Southwest my own brilliant little secret, but they’ve done such a great thing for me that raving about them to others is the least I can do to thank them. From the initial telephone conversation with Jo to the lovely Doctor who carried out the Botox treatment the whole process was first class. I was recommended to Refresh by an existing client who was delighted with her results. i would not hesitate to recommend Refresh myself to anyone who needs a boost to their confidence and looks. Do yourself a favour and book a treatment, you will not regret it. Thank you all at Refresh. Thank you all for your kindness and understanding and many thanks Sharon for sensibly insisting we wait to remedy over time, not all in one panicked rush. I heeded all yr after care advice for once - was too scared to even eat last night, let alone touch mouth - hardest bit was not kissing the dog, but needs must!! Was very scared to scrutinise mirror this morning - worried it might have deflated again, migrated, or worse still would look like my mouth was stolen from a blow up doll!! - thankfully just a small bruise mark, no lump (as promised) and I ventured out in the daylight feeling a bit less ancient and ugly after hiding for ages. I look forward to very subtle tweaks only plus great coffee and more entertainment in 13 days time. Thanks for putting up with my paranoia and intense questioning and doing such a good job given the major issues, it's very much appreciated. Extra special thanks to Nikki too for her morale boosting, hand holding and good humour from the day I first phoned, made a huge difference - you are a great team, all compliment each other. I did a lot of research in to different hospitals and clinics in which to have two moles removed. I came across Refresh South West online and was impressed from the start. Their website was professional and informative and I was able to read about your doctor’s medical background and experience as well as details about the procedure. They responded to my enquiry promptly over the phone and I had an appointment for the next week. When I arrived at the clinic I was warmly welcomed and wasn’t kept waiting. I sat with your doctor who explained the procedure, showed me pictures of what to expect and talked through any queries I had. I was very happy to have the procedure completed whilst there so your doctor started the treatment with support from a colleague. He talked me through the steps as he went and made sure I was comfortable and relaxed. I was nervous but your doctor allowed my partner to stay with me the whole time. The procedure was very quick with no pain or discomfort apart from the initial injections for the aesthetic. I was very pleased with the results and just one week later I have just two small scabs where the moles were. I was offered by the clinic to go back to see your doctor if I wanted him to see how they were healing which made me feel reassured that if I did have any issues that they would further support me. I am extremely happy that I chose Refresh South West for my mole removal and would highly recommend your doctor, Nikki and their team. What can I say, I am so pleased with the treatment I have received, everyone was really supportive in my decision, and the treatment was completed to a very high standard. The results were amazing and has given me my confidence back, thank you to the whole team! I received superb service from my very first visit to Refresh. My therapist was honest, open and friendly in her consultation and I was made to feel welcome and at ease. My questions were answered honestly and I never felt pressured into anything. They provided me with as much information that was required leaving confident to pursue laser treatment. Keloid scars are known for being difficult to treat. Nevertheless, I was extremely pleased with the result following my procedure. The staff were lovely, with no attempt at any 'rip-off' practice. I would highly recommend the team as I received first class service and first class result. I came to Refresh as I was beginning my transition for the necessary laser hair removal on my face and elsewhere. Nikki was fantastic from the first consultation; totally non-judgemental, friendly and professional. Likewise for everyone who works there. My face is already looking a lot better, and I am around half way through the process. I recommend Refresh to anyone looking for laser hair removal. When I first went to the clinic, did not allow myself to get too hopeful about the laser treatment. I had been having electrolysis for many years which seemed to be making the unwanted hair on my face worse and not better! However, after a few sessions I started to realise that the treatment really was going to make a difference. I am due to have my last treatment next month and I am really pleased with the results. It has given me a new confidence in my appearance. I am going to miss seeing Nikki when it is finished because she feels more like a friend than a therapist. Thank you for the recent laser treatment. I was very nervous and a little sceptical that the treatment would work. I can honestly say, 2 months on, my age spots have disappeared and my skin is clearer and tighter. I would recommend this treatment for anyone especially any lady as a 40th birthday present! It took me years to pluck up the courage to find out about laser hair removal – I really didn’t believe that there could be such a thing as permanent hair removal and I was very sceptical. However, the time and effort it was taking me to keep my legs hair free was proving a real problem so I finally decided to give it a go. I went to Refresh in Plymouth. Firstly I was made to feel very welcome not just on my first visit but each time I went there. Appointments were fitted in to suit me and my busy life style. The treatment was no more uncomfortable then having my legs waxed and the therapist was really experienced and also very friendly. About 3 weeks after my first visit I started to notice little bald patches on my legs! After the second visit these patches increased and finally after 4 visits my legs were hair free!! I couldn’t believe it – just 6 short hours of my life and I looked and felt completely different! But even then lots of people told me it wouldn’t last. Well here I am almost a year later. I haven’t once had to wax, shave or do anything else to my legs! I can wear skirts, go swimming etc without even having to think about it! I can hardly wait for this summer to come along! It was worth every penny and I cannot say how much difference it has made to my life. If you are thinking about having laser hair treatment at Refresh I wouldn’t hesitate. No amount of diet and exercise would shift my saddlebags. They were totally down to genetics. The team at Refresh were incredibly professional and answered all of my concerns. I had been put off traditional liposuction due to a long recovery time and the worry of ending up with loose skin. The procedure was quick, painless and strangely enjoyable due to a fabulous surgeon who chatted and reassured throughout. Recovery was really quick, I was back at work the next day! 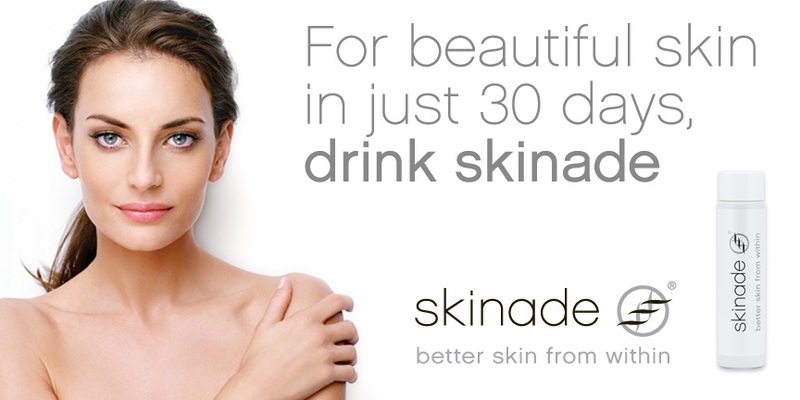 I have completely changed shape, my skin is smooth and the result far exceeded my expectation. Refresh also offered a great follow up service to ensure my expectations were met. I cannot recommend it more highly, I feel amazing! Throughout my treatment I have found the Refresh Clinic to provide a professional service with that added personal touch. The staff have been more than accommodating to my needs and from my time with the clinic I have undertaken further treatment than originally planned as I believe there is no other clinic capable of providing the level of service that you receive at Refresh. The equipment used is highly effective and I have seen results within as little as 3 to 4 sessions and couldn’t be happier with the outcome, it has given me a new lease of life and a confidence that I thought I would never have.